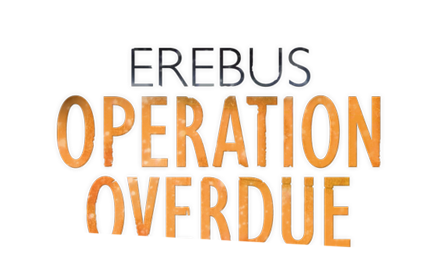 Operation Overdue was the New Zealand Police operation that swung into action in the hours that followed the sighting of the wreckage of Air New Zealand’s Antarctic Flight TE901. Professionals and volunteers from around the country learned that they were required to head, assist or report on the site investigation and recovery operation in Antarctica. Numerous others stationed at Scott Base and McMurdo Station at the time of the disaster provided invaluable assistance to the investigation and recovery parties. The first party left from Christchurch on 29 November 1979. It included the Chief Air Accident Investigator, Ron Chippindale, who led the site investigation, and the New Zealand Police search and rescue coordinator, Inspector Robert (Bob) Mitchell, who led the recovery operation. Just 11 New Zealand Police officers were selected from squads that included members of the Disaster Victim Identification (DVI) team and Search and Rescue. Accompanying these men was a handful of mountaineers. On 30 November United States Navy helicopters flew Chippindale, Mitchell and other key members of the party to view the crash site first hand. They subsequently agreed on priorities. Poor weather delayed progress until the afternoon of 2 December. Then, as agreed, two surveyors, members of the investigation team and their mountaineer assistants were the first to the site. The priority was to find the cockpit voice recorder (CVR) and digital flight data recorder (DFDR), and within a few hours both had been located. The weather closed in again, but as soon as it cleared the recorders were flown back to McMurdo, arriving late in the morning on 3 December. The break in the weather allowed the first members of the DVI team to leave from McMurdo. Deteriorating weather initially hampered efforts to get the remaining team members up to the site, and a blizzard later that evening prevented any work until early the following day. By 10 December the site investigation and recovery operation in Antarctica was complete. The investigators had recovered the CVR, DFDR and other instruments, including the cockpit flight panel. The DVI team had recovered 114 substantially intact bodies, 133 bags of human remains, and countless personal belongings. But many more weeks of work lay ahead in New Zealand – completing the investigation and identifying the victims. As those involved in the recovery operation headed to Antarctica, work was also underway in New Zealand to help identify the victims they recovered. The victim identification phase of Operation Overdue was headed by Chief Inspector Jim Morgan of the DVI team. Morgan’s team included other police, fingerprint experts, pathologists, photographers, dentists, funeral directors and embalmers, and representatives of Air New Zealand (to assist in the identification of the cabin and flight crew). On 6 December 1979 the first flight carrying bodies from the crash site arrived at the Royal New Zealand Air Force’s Auckland base at Whenuapai. By the time the second flight arrived on 11 December, the pathology teams tasked with determining cause of death had completed post-mortem examinations on the first 114 bodies. They completed the remainder by 21 December. As subsequently reported in the Chief Inspector of Air Accidents report, their examinations indicated that all the victims had been “killed by the injuries received at the initial impact rather than as a result of burns sustained in the subsequent fire”. In all, 213 of the 257 victims were identified. This identification rate of 82.9% compared well with the rates achieved following other air crashes. On 22 January 1980 a special inquest was opened into the deaths of the 257 people on board Flight TE901. At the conclusion of the inquest, on 30 January, the coroner found that no-one could have survived the crash, and confirmed that the 44 people who had not been positively identified or whose bodies had not been recovered from the crash site had been on the flight. Few of those involved in the recovery and identification of victims from the Erebus disaster could have been truly prepared for the task ahead. Recognition was given to the post-traumatic stress suffered by those involved in Operation Overdue. Counselling was offered to all who wanted it, and the debriefing report completed by psychiatrist Alan Frazier and psychologist Tony Taylor specifically noted the need for officers in command of such operations to know how to recognise and deal with signs of stress in staff. It took several years more for psychological support to become standard practice in the New Zealand Police. Just months after the Erebus disaster the New Zealand Police presented certificates of appreciation to some of the people who had assisted in Operation Overdue. In March 1982, after no other acknowledgments were forthcoming, the New Zealand Police gave special commendations to 10 sworn police officers and non-sworn civilian staff members for outstanding services during Operation Overdue. Further recognition finally came in November 2006 with the institution of the New Zealand Special Service Medal (Erebus). The medal was instituted “to recognise the service of those New Zealanders, and citizens of the United States and other countries, who were involved with the extremely difficult and very unpleasant, hazardous, and extreme circumstances associated with the body recovery, crash investigation and victim identification phases of Operation Overdue”. 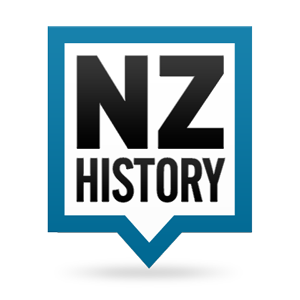 Reprinted courtesy of New Zealand History online – please click on logo below for more information.